Four instruments on a central base perfect for the budding Ringo Starr. 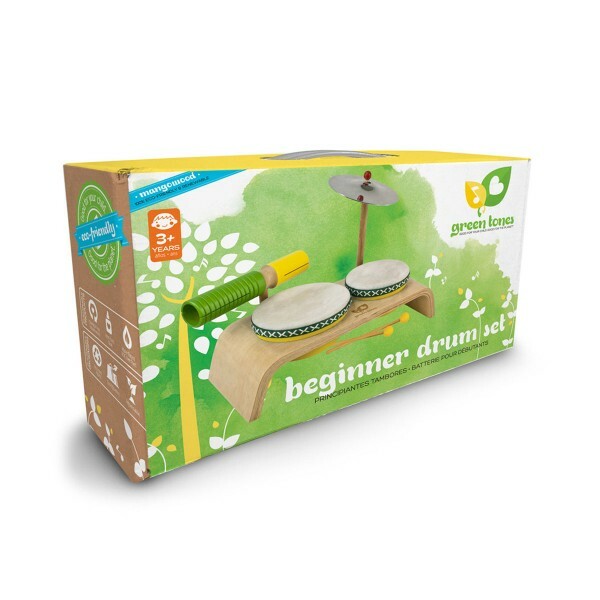 Featuring two removable drums, a bright cymbal and multi-timber wood block all add to the array of sounds your little one can make. 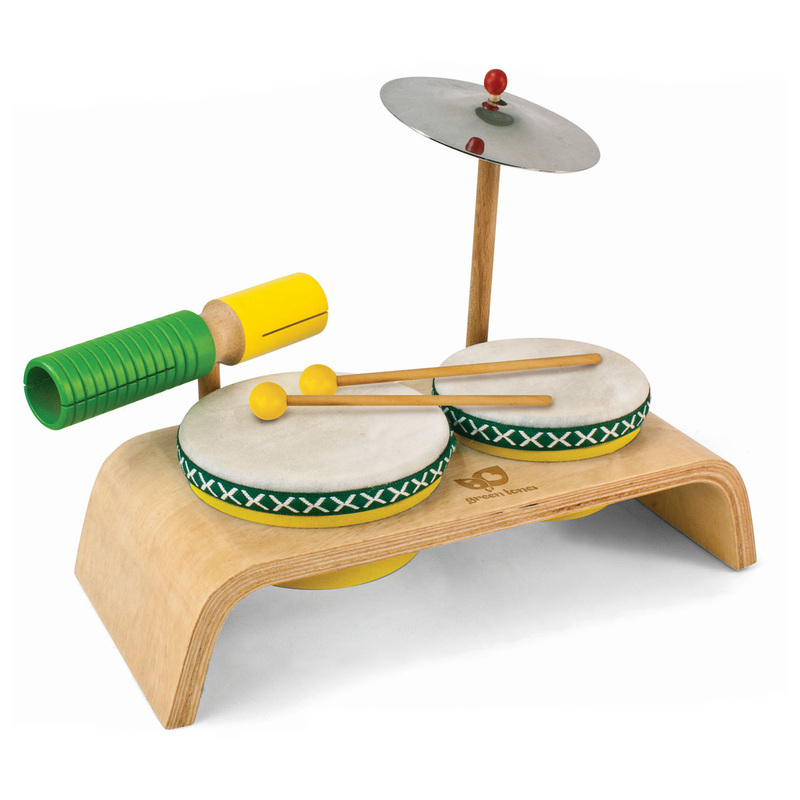 Play with your hands or the pair of wood mallets included and the drums can be taken off the base and played separately.